It isn’t all about the money. Money does not satisfy. Money does not make you happy. Money does not guarantee health. Money does not equal great wealth. Money does not save your soul. Money can not buy great friends. These statements are often said. These statements are hard to understand when you are broke. These statements become clearer as you attain financial prosperity. It becomes quite clear to the wealthy that these statements are clear. I believe that it is a spiritual issue. WHAT?!!! I said it. I believe that it is a spiritual issue. 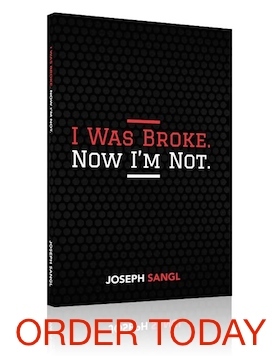 I have seen many broke people that are consumed by their lack of money. Some believe that they can out-earn their spending. These people spend an enormous amount of their time working to “get ahead”. In the process, they sacrifice their family relationships and friendships. They tend to become hardened to their world. They want what is theirs. I have seen financially wealthy persons also become hardened to their world trying to protect what is theirs. In both cases, I believe that they do not have true peace. They are attempting to put money into a high position in their lives, yet it still will not satisfy. Money can not truly satisfy the spirit. Money is a means to an end. So why should I want to help people acquire and keep more money? Why is it important to save? Why is it important to avoid debt? Why is all of this even matter? It allows you the opportunity to utilize your time to pursue your life’s calling! The very thing you were made to do! The exact thing that sets your soul on fire! The passion igniter in your life! IF YOU WERE DEBT-FREE AND HAD ZERO PAYMENTS, WHAT WOULD YOU BE ABLE TO ACCOMPLISH WITH YOUR LIFE??????? or to ask another way IF YOU STAY IN DEBT AND HAVE DEBT UP TO YOUR EYEBALLS, WHAT WILL YOU BE PREVENTED FROM ACCOMPLISHING WITH YOUR LIFE??? ?